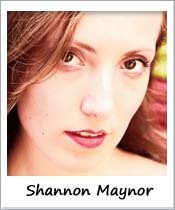 Shannon Maynor is originally from Los Angeles where she was classically trained at California Dance Theatre. She continued her extensive ballet training at the world renowned San Francisco Ballet School. Prior to moving to NYC, she danced with Oregon Ballet Theatre. She currently dances with Nomad Contemporary Ballet, VISIONS Contemporary Ballet, Ballet Inc, and Classical Contemporary Ballet Theatre among others. Shannon has taught ballet at Long Island City School of Ballet and is thrilled to be teaching ballet at the Riverdale Y.